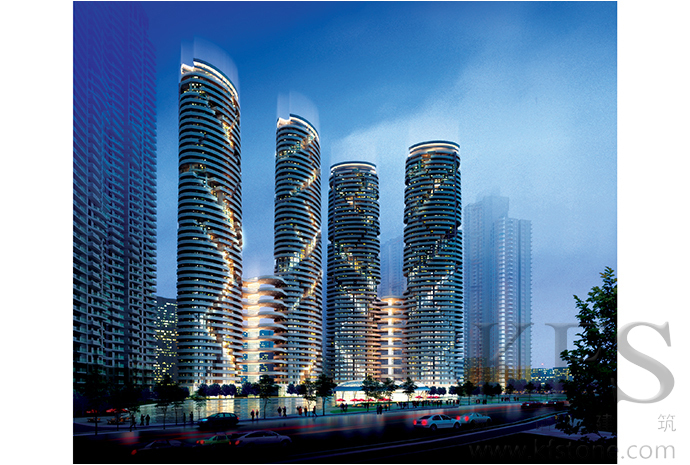 The site is located in Futian dist. Shenzhen city. Longxi Garden is a residential area surrounded by Nonglin road, Fengtian road, and Nonggan road which has 67,200 square meter area. Total building area above ground is 272,600 square meters with FAR of 4, that include housings, clubhouse, elementary and kindergarten, and public service. There is also a 40,000 square meter housings for the government. 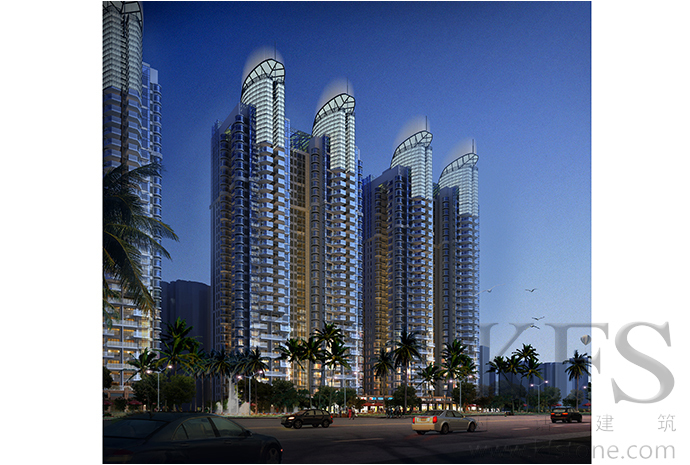 The building is 51 stories high, with total height of 160 meters. 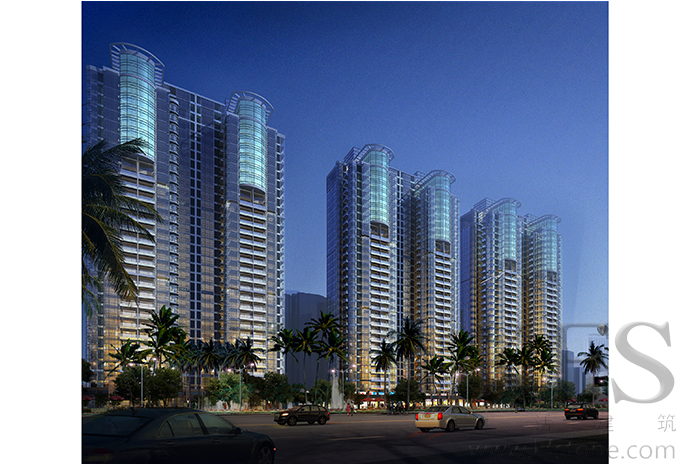 Considering the solar exposure requirement of the housings, the high-rise buildings are located at the edges of the site. Different types of housings are located along different edges of the site. Three green spaces with curvy paths connecting every residential buildings are located in the residential area. This way, we establish connection between different types of housings and also provides better management. The clubhouse is designated for use of all types of housings and thus is located in the very center of the community. The facade design of the clubhouse is properly combined with the landscape design of the area. The elementary school and kindergarten are located at the north side of the land, to minimize the disturbance it may cause to the residents. High-rise buildings are mostly 51 stories high, with the ones at southwest part of the land having 41 stories height that optimizes the sun exposure for the residentials while at the same time providing a variation on the skyline of the whole community. 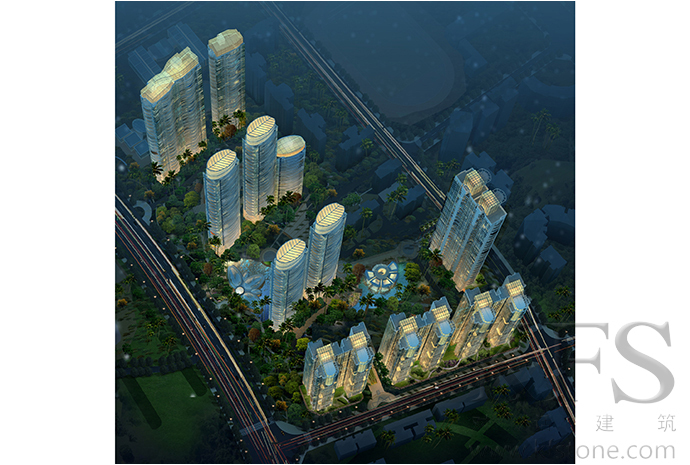 Other than the podiums, all the high-rise buildings have elevated floors to provide full continuity of the green space. 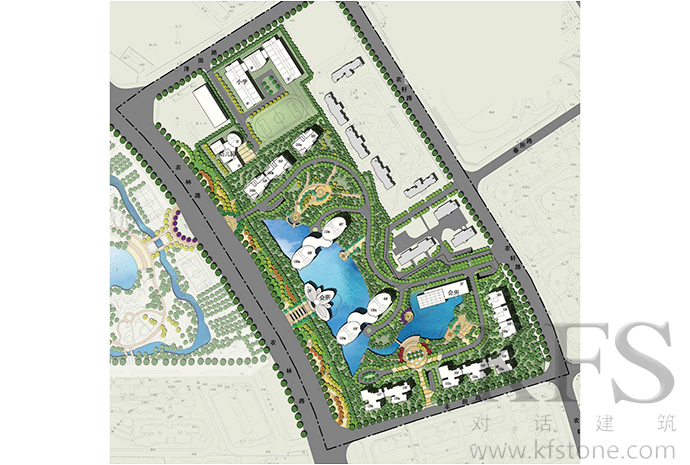 South edge and center of the site mainly has traditional Chinese garden landscaping with water surfaces. Surrounding the water surface are pavements and playgrounds to provide activity space for the residents while at the same time providing connection with the clubhouse. The landscaping at the north side are mainly green spaces and playgrounds. We utilizes different ground levels to create different purposes of sport playgrounds. The water surfaces and fountains adds character to the whole landscaping as a leisure and sports facility.